Already own a home in the Fairhope Falls subdivision? Thinking of selling? Click here and read about current search trends & our web network. It's just a short drive to downtown Fairhope, a popular area known for its unique shops, art galleries and is home to several attractions such as The Annual Arts & Crafts Festival, Mardi Gras & Christmas parades, and outdoor farmers markets. 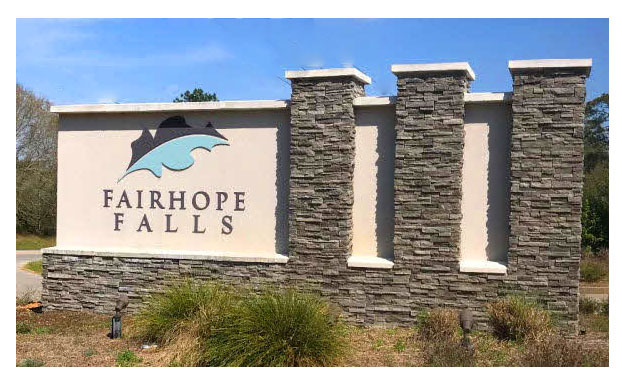 Fairhope Falls is an easy commute to larger cities, such as Mobile, and is roughly 6 miles south of Interstate 10. Residents can reach popular beach towns, Gulf Shores and Orange Beach, in about 45 minutes using either the Foley Beach Express or traveling south on Hwy 59. If you are interested in learning more about our area's lucrative condo market, visit our Gulf Shores condos for sale page to find comprehensive information such as rental revenue for all condos, and recently sold condos with actual sold prices and closed dates. Our Orange Beach condos for sale page provides the same information and other useful features including pre-defined search options and aerial imagery of Orange Beach and Gulf Shores condominiums. If you need further information, have questions, or would like to schedule a viewing for any of the properties for sale in Fairhope Falls or any other Fairhope homes for sale, please email info@condoinvestment.com or call (251) Area-Pro (251-273-2776) for immediate assistance.